Whether it’s a major holiday during the course of the year, or just any old Wednesday night in them middle of any month, you want an attractive place to dine in your home. Sure, there may be nights when you choose to bring your dinner out in front of the television for your favorite programs or the big game, but other nights you’ll want to gather with friends and family in an attractive and comfortable dining room. Of all the rooms in your home that you’ll have to design, you’ll have an incredible amount of flexibility with your dining room. 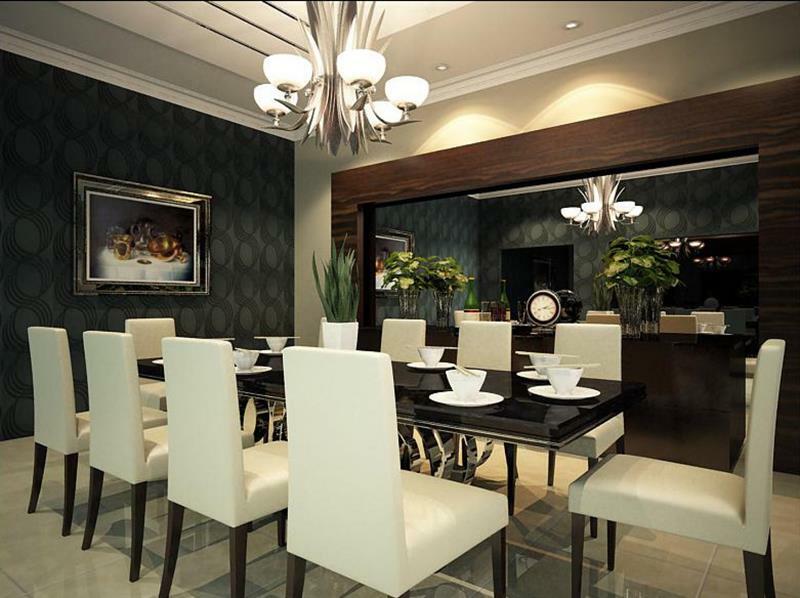 To be sure, everything focuses around the table that you select, but from there you can do a great many things to craft the luxurious dining room of your dreams. Plush and ornate chairs? You can do that! Stunning accents and touches that reflect a modern aesthetic? You can do that as well. The choice is entirely yours! 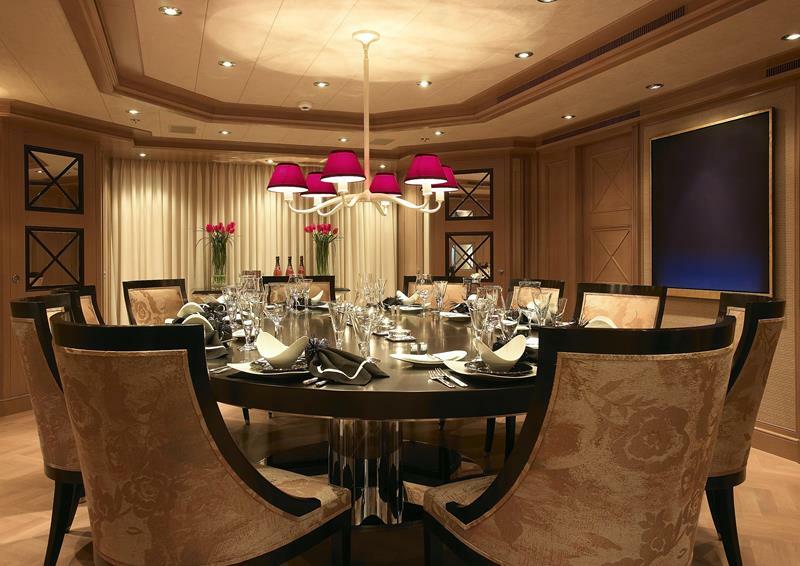 So, if you’ve been working on a plan to remodel your dining room, and you’d like some inspiration, then come check out the luxury dining room designs on this list. They run the gamut of different styles and influences, and you’re sure to find something that will get your creative juices flowing. With three amazing light fixtures hanging overhead, this luxury dining room design offers an intimate place for gathering with friends and family. Here, a bench is incorporated into the wall to create a truly unique table setup for this luxury dining room. 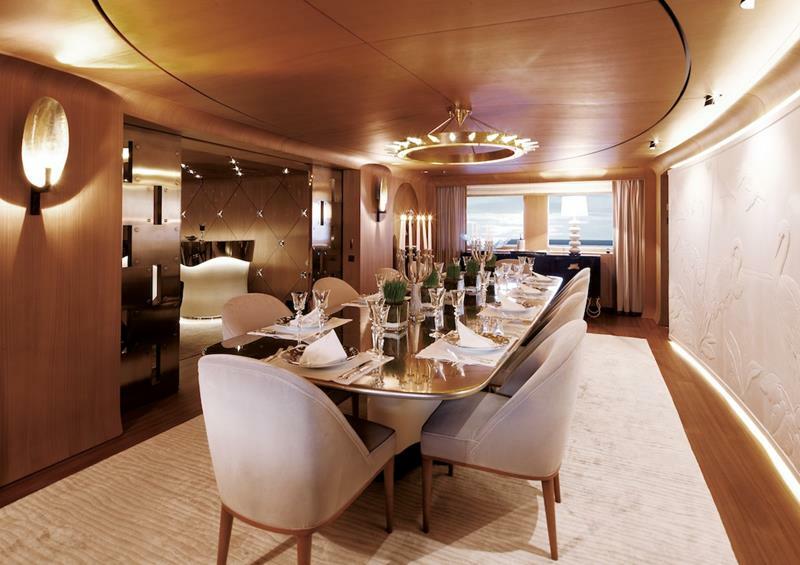 The long, gold-top table in this luxury dining room is accented by the curved, sweeping walls the surround it. 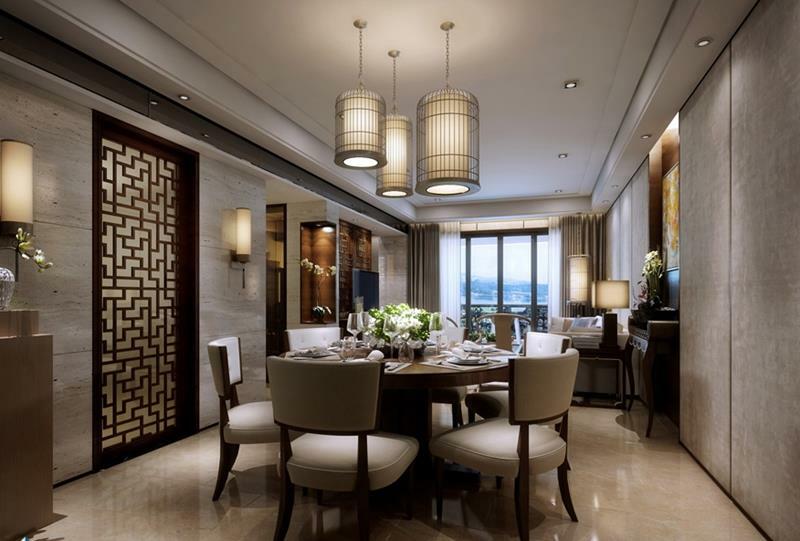 A large wall-length mirror is used to lend this dining room a much greater sense of space than it otherwise might have.